Head out of your student accommodation at Windsor House and pop into The Capitol Shopping Center to buy something new for your wardrobe or grab a bite to eat. Stroll over to National Museum Cardiff to explore the fascinating history and culture of Wales for free, then take a wander through nearby Alexandra Gardens and Gorsedd Gardens for a breath of fresh air. If you want to work out, head over to easyGym Cardiff, two minutes away from your new home. And check out the city’s music scene at The Live Lounge with bands and DJs all evening long. 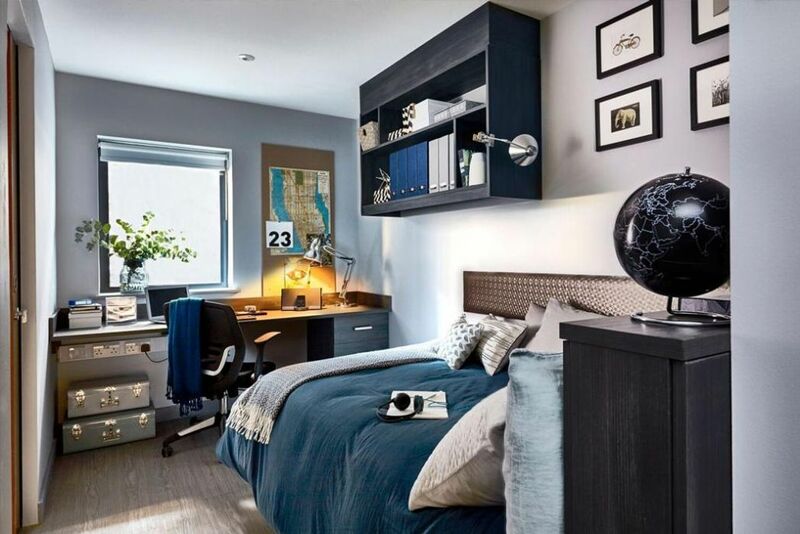 Set up your student life in a brand new studio at Windsor House, located in the centre of Cardiff just steps away from everything you need. Slip on your backpack and head out the door to school. Enjoy a leisurely eight-minute walk through gardens and past historic landmarks on your way to Cardiff University. If you have a lecture at the University of South Wales, you can get to class in less than 10 minutes on foot. 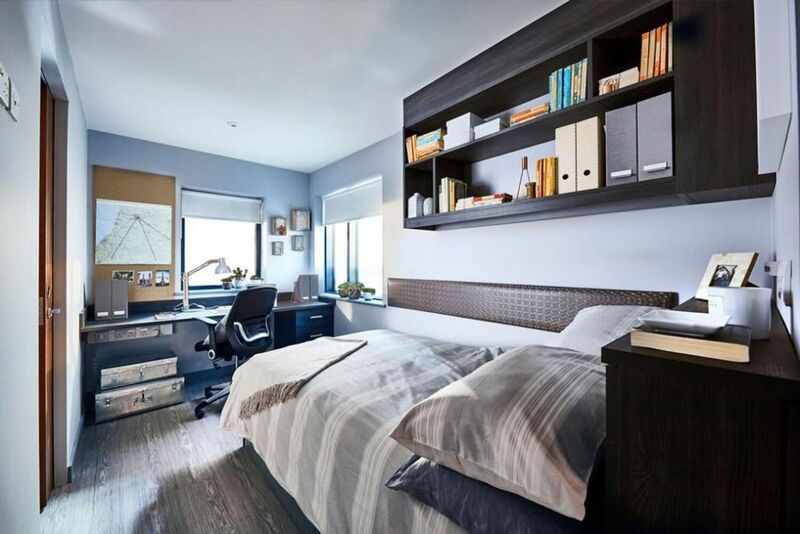 Back in your stylish apartment, take a seat at your desk and use the fast broadband Wi-Fi connection to research a homework project or keep in touch with your friends around the world. Run around the corner to Sainsbury’s supermarket to pick up groceries for dinner and snacks for the week. Later on, pull up a stool to the breakfast bar and enjoy your meal while watching your favorite show on the 32-inch flat screen TV, or walk down to the in-house cinema room with state-of-the-art features. Kick off your Friday night in the game room by challenging your neighbours to a round of table football or billiards. Alternatively, head to the residents bar with a complimentary ice machine and high-tech sound system to relax in one of the plush chairs before going out on the town. When come back home later in the evening, you will be greeted by the 24-hour concierge team. 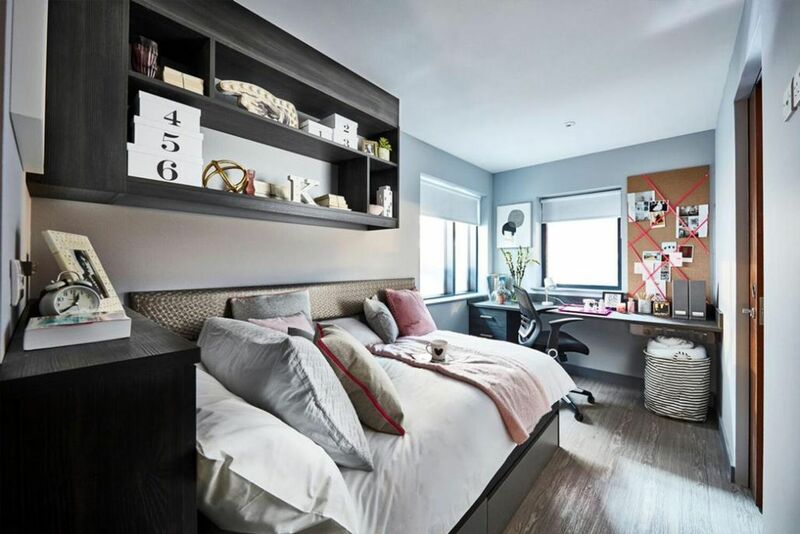 As you fall asleep in your double bed, you can rest easy about your costs because all utilities, internet, and council tax are included in your rent. We couldn't find a room that matches your preferencesView all Private Room in Windsor House. We couldn't find a room that matches your preferencesView all Entire Place in Windsor House. 1.If a first year doesn't get their grades they may be able to cancel if they can provide proof of the rejection from the university. 2.Once you have signed the tenancy agreement you will have no right to cancel the contract, and shall be liable to pay the full rent and any related fees relating to the accommodation for the duration of the tenancy. If you want to cancel you must find a suitable replacement tenant who is over 18 and a full time student with a guarantor. There is a ?50 admin fee to pay also.